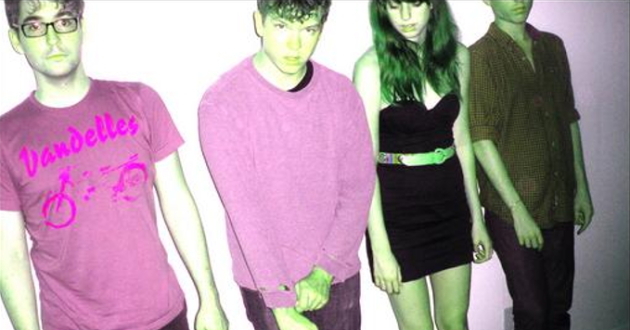 >> On a whim we checked in with Austin-based shoegaze titans Ringo Deathstarr to see if we could learn anything about the quartet's planned full-length debut. And we can tell you that the record has been recorded, and it is being mixed and mastered. The set will be called Colour Trip, and it is slated for release in the fall in the UK on Club AC30 and in Japan on Vinyl Junkie. Band fronter Elliot Frazier tells us there is currently no U.S. label attached to the record, which is insane, but it's a crazy, mix-up world out there, people. The Deathstarr is working on music videos now and plans to tour in support of the record around the time of its release. Awesomes! >> It's been more than a year since Chicago-based futurepop savants Big Science released to the Interwebs the free EP The Coast Of Nowhere. The EP is awesome, and you can still download it here. Twitter stalkers have been fed regular updates about the recording of a full-length record, and then suddenly recently there was chatter about an EP that will precede the full-length. According to the Internet Home Page of AEMMP, the band's newish label, the EP is titled Skyscraper Sound and it will be issued next week on 25 May. Big Science plays a record release show Saturday. Have you seen the awesome art for this thing? We still haven't any idea what songs are on the EP or how one goes about buying it (hey AEMMP, get on that), but two apparently new songs "Basement Lights" and "Burn All Night" popped up on the band's MySpace player in the last couple weeks. But you can be assured that it is likely worth whatever they will be asking.